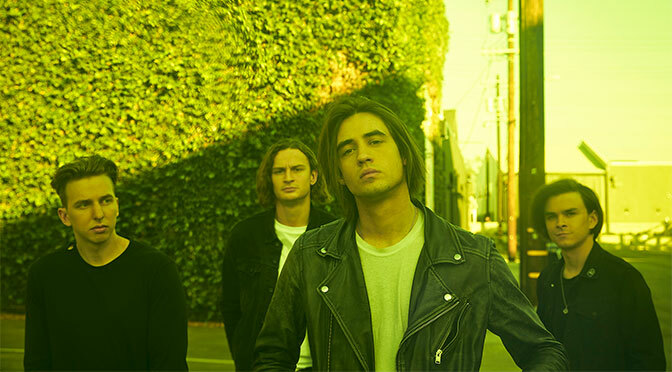 Mesa, AZ — A high-rising band from down under, The Faim, is a prime example of confidence, enthusiasm, and love of the art of music and performance. 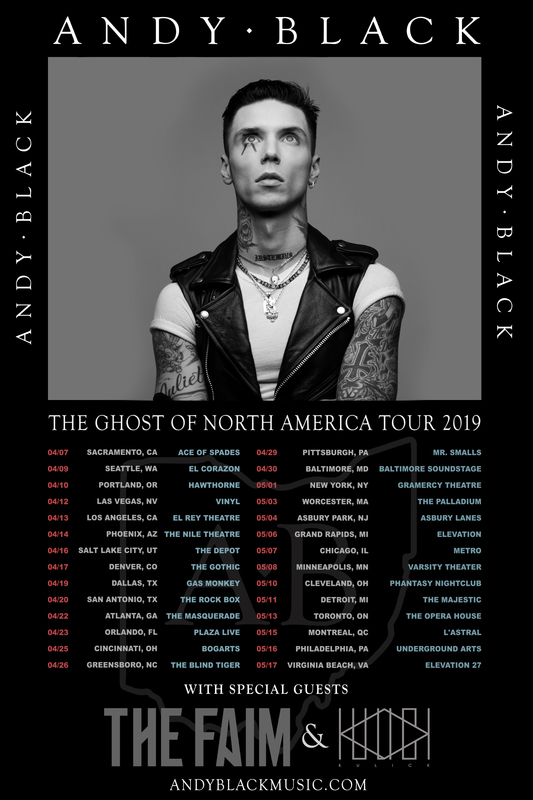 Supporting headliner Andy Black on his “The Ghost Of North America” tour, alongside fellow opener KULICK, they treated fans to a performance far beyond even the most optimistic of fans’ expectations. 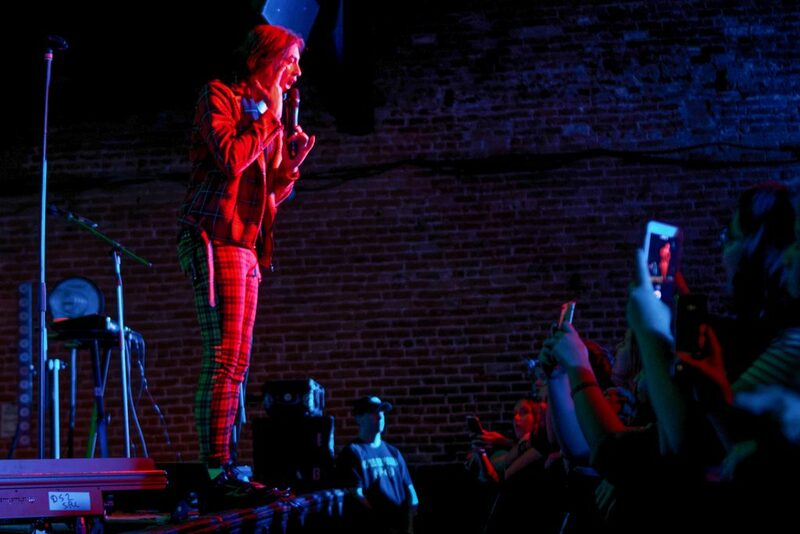 A young crowd, anxious and eager to see their music idols, lined the sidewalk into the alleyway entrance of The Nile Theater. Colored hair, ripped jeans, leather jackets, name-brand shoes, and fancy accessories dotted the scene, much like an amalgam of hipster and classic punk, creating a unique fashion style that may eventually define this generation, like big hair and shoulder pads defined the 80’s. This fusion of fashion is likely in part a byproduct of the union of fans of a variety of artists that were involved in this night and everything leading up to it. Two days prior to the show, Black Veil Brides’ frontman Andy Biersack released The Ghost of Ohio — the sophomore album from his solo music project under the moniker Andy Black. A concept record, The Ghost of Ohio is meant to serve as the soundtrack for his comic book by the same name, according to Alternative Press. Andy Black and The Faim share megaproducer John Feldman (lead singer of Goldfinger), who has a massive arsenal of rock and pop artist veterans that he’s worked with, and has been able to mix them into a cocktail of contribution to recordings for these two acts. By bringing top music industry talent together, Feldman is taking the best parts of early 2000s rock and infusing it into a new generation of sound that will richly benefit from their prowess and the vitality of these artists’ spirits. Jacob Kulick, also known as KULICK, came out to a screaming crowd of fans that did not know what they were in for. KULICK set the bar high for what was about to follow: clear vocals and clean-sounding instruments, akin to a Bad Religion show, accompanied by contagious energy, great stage presence, and command of the crowd — a polished performance and band dynamic that makes you want to see them again. KULICK performed 8 songs: “Crawling”, “Hole in My Head”, “City”, “Hydroplane”, “Scatterbrain”, “Colors”, and “Ghost”; closing his set with humor and natural crowd engagement. This was only his second time touring, but with a performance like this, it would appear that many more will follow and he will continue to enrich audiences with his energy and sound. The Faim’s explosive energy became evident within a few seconds of their opening song, “Saints Of The Sinners”. 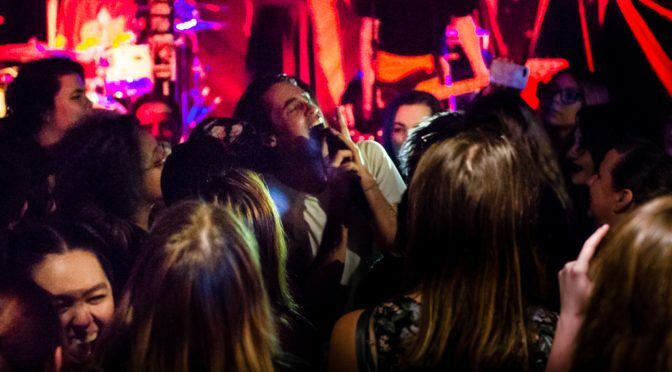 With the never-ending energy and stage presence you’d normally see from a ska band or Mick Jagger, The Faim dominated the stage and slowly began to command a crowd that once again did not know what hit them. They played “My Heart Needs to Breathe”, as if they have been performing for many years. Sam Tye (guitar) and Stephen Beerkens (bass, keyboard) played on each other’s moves, and Raven engaged each member, including drummer and percussionist Linden Marissen, like Bruce Dickinson does with Nicko McBrain. Marissen himself exudes a type of energy and control of the drums that demonstrates his dedication to his craft; breaking a drumstick mid-song, and grabbing a new one so quickly that most people did not even notice. A fan later came to the merchandise table to have the broken stick autographed, which Marissen gratefully obliged. The third song was a special gift to the audience: the still unreleased song “Beautiful Drama”. Lead singer Josh Raven’s enthusiasm was evident, not merely singing the words, but performing the song from his heart and leaving it all on the stage, like this was his own Live Aid performance. When the lights went down once again, Andy Black began to sing to a sea of screaming fans that, to his obvious and evident delight, could sing along every word of each song he played. It was a night of endless energy and flawless performances that lifted the caliber of the show above and beyond. Los Angeles, CA – Rising pop-rock group, The Faim, will be joining Black Veil Brides’ frontman, Andy Black, on a massive North American tour this spring in support of their debut EP, Summer Is a Curse (2018 via BMG). The band will provide direct support on the 28-date trek runs that throughout April and May, kicking off in Sacramento, CA on Sunday, April 7 and wrapping in Virginia Beach, VA on Friday, May 17. The run also hits major cities including Los Angeles, Atlanta, New York, Chicago, and Toronto. The full list of shows is included below. Tickets go on sale this Friday, February 15 and can be purchased HERE. “Fire” has already secured notable playlisting, including Spotify’s New Music Friday (France, Netherlands), New Noise, and Pop Rock Shot, as well as Apple Music’s Breaking Alternative (40 countries), A-List Alternative (Germany), and Best of the Week (Austria). “Make Believe,” a standout track from the group’s Summer Is a Curse EP, was also played on a recent episode of Legacies on The CW and subsequently landed on Spotify’s Film & TV Favorites sync playlist.